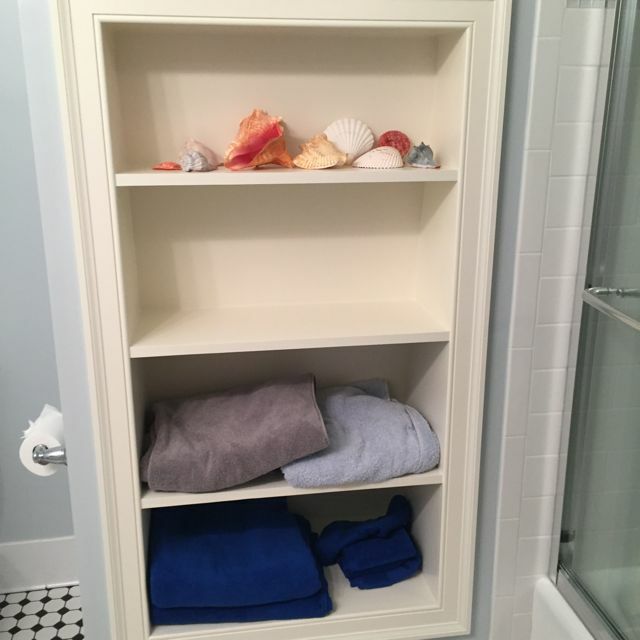 This post about a boys small bathroom remodel is brought to you by my relationship with Sears Home Services. Our boys’ bathroom is the only room in the house we have not touched since we moved to our home 10 years ago. Outside of paint, the 80’s decor has been an eyesore. Basically, my husband and I decided until our boys could pee in the toilet and not on the floor we would not consider remodeling. Well, fast forward to this summer when we noticed a leak in our kitchen ceiling. 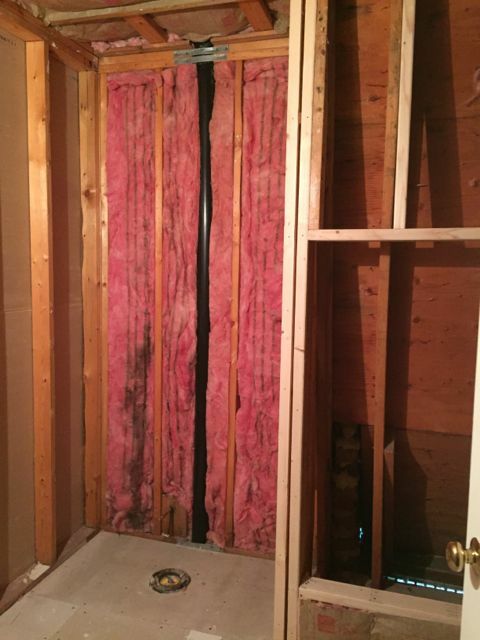 Due to the nature of the leak, we needed to look deeper into the boys’ bathroom which meant ripping up some flooring and opening up some walls. The decision was made we would start the boys’ small bathroom remodel earlier than planned. Remodeling a bathroom is easier than a kitchen, and since this was the third one we have done, we had a design plan in mind. A bathroom remodel is one of the most common home improvement projects. It is an easy and cost-efficient way to increase the appeal of your home and you don’t need a huge budget to do it! 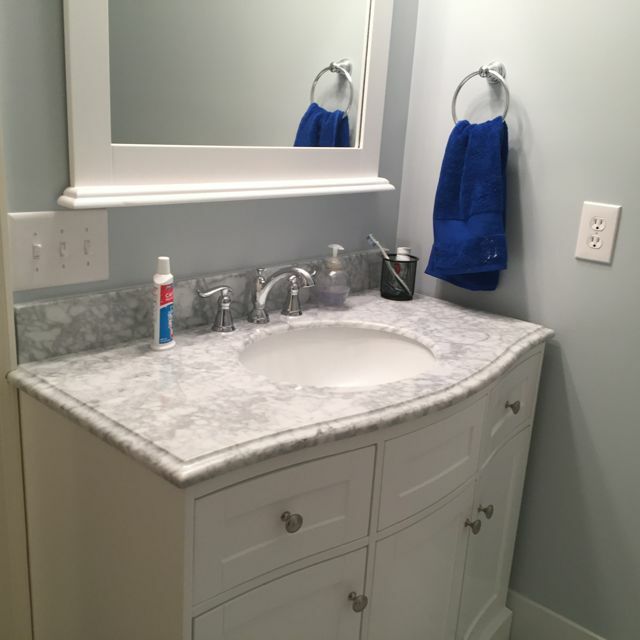 Whether is new bathroom flooring options, new countertops, vanities, sinks and tubs, or a combination you can have a bathroom design that works for you and your family. Sears Home Services will even provide personalized service with a free in-home consultation. There is nothing better than seeing the old stuff disappear and trying to create a small bathroom plan. 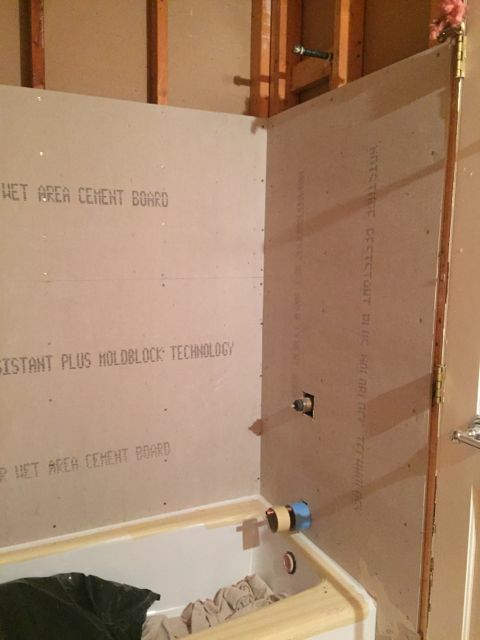 Seeing the studs, made me realize that I could utilize some space hidden behind the original drywall. Shelving can be created in almost any wall space. Wanting to keep a bathtub in the boys’ we decided to add a glass door to create a bigger looking space. 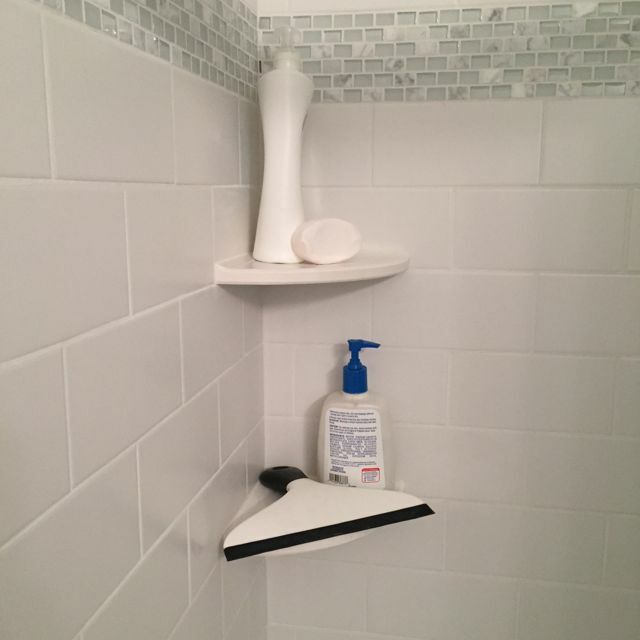 We used inexpensive subway tile throughout the bathroom but used a fun border in the shower area. 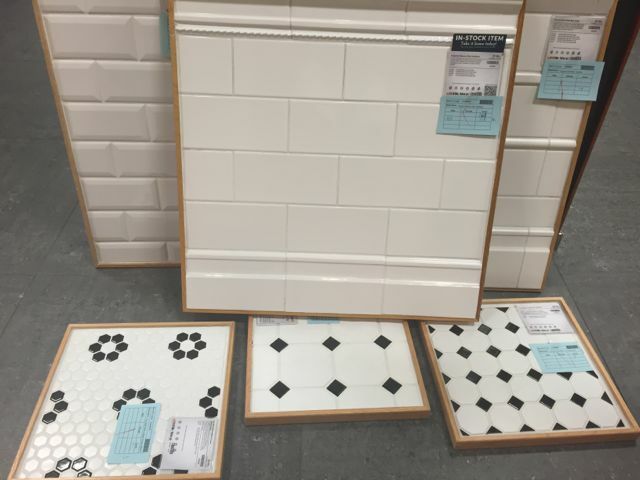 You will only need a few sheets of a more expensive tile but get a high-end hotel look. Check out this great article from Sears Home Services about Bathroom Remodel: Where Luxury and Usefulness Come Together for more great ideas. Speaking of Sears Home Services, they also can help with your bathroom remodel. Save $500 on Bathroom remodels of $1,500 or more. Offer expires 11/30/2016. Not valid on prior sales or in combination with any other offer. Find our bathroom remodel discount here. 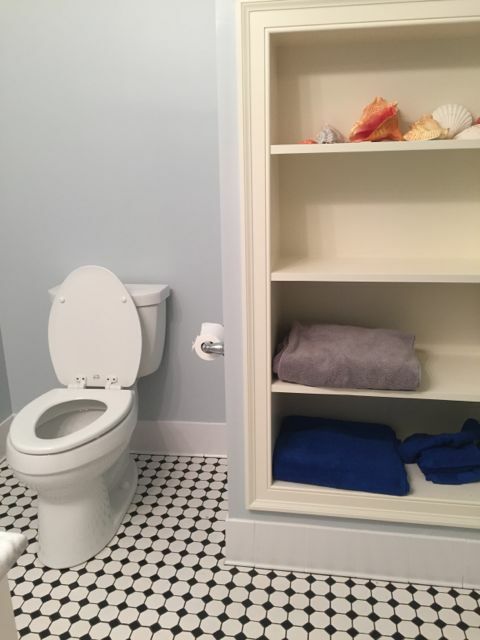 What tips do you have for a small bathroom remodel? It will come by choice or not like us! What a beautiful bathroom remodel! Very sleek and modern. I would love to redo our bathroom, it hasn’t ever been redone. Our sink is shaped like a seashell! We need a redo! OBSESSED with how the sink came out. Everything else too but I really love the sink. Great job! Your remodel turned out great. I never knew Sears had this type of service. I love the color choices you made. Love that remodel job! Mine could certainly use a remodel–and there is a Sears about 5 minutes from my apartment. I will have to give them a call. with small space and boys we had to get creative. Great job on the remodel! I love the border you used in the shower and the shelf was a great use of space. I didn’t realize that Sears does remodels like this!!! Your remodel turned out amazing, I love the shelving that you added to the room. Your bathroom remodel turned out great. I love the glass tile border you used in the shower. I haven’t had to remodel everything; I don’t think I’d be very good at it! It seems like quite a headache!